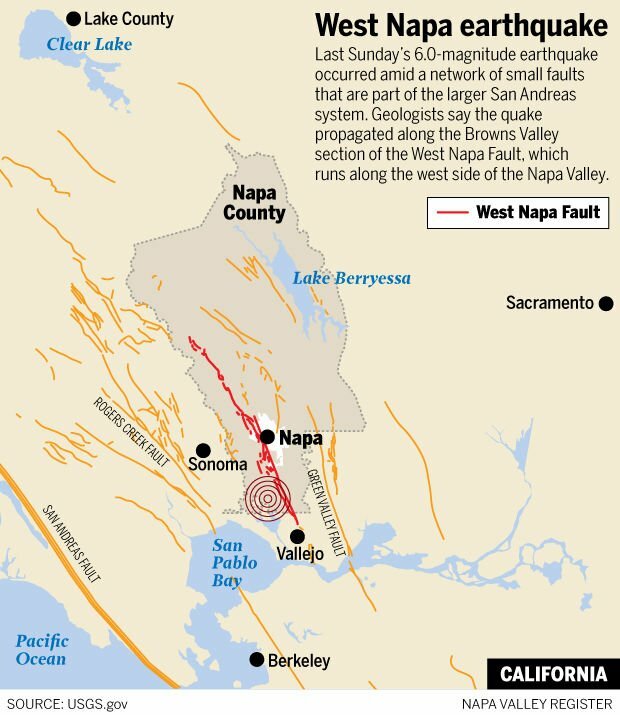 The West Napa Fault is a right lateral strike-slip fault 57 km long active fault in Napa County. The most recent significant earthquake along the M 6 South Napa Earthquake which occurred August 24, 2014 at 0320 local time. USGS released a What We Know After One Year study that provides a good deal of information on the 2014 earthquake.